"You best stop shooting your mouth off, now – or you're a dead man!" Saban Films + Lionsgate have just released an official trailer for another one of these low budget, super cheesy, totally awful-looking action films. This one is titled I Am Vengeance, a variation on the original Vengeance title for UK release. 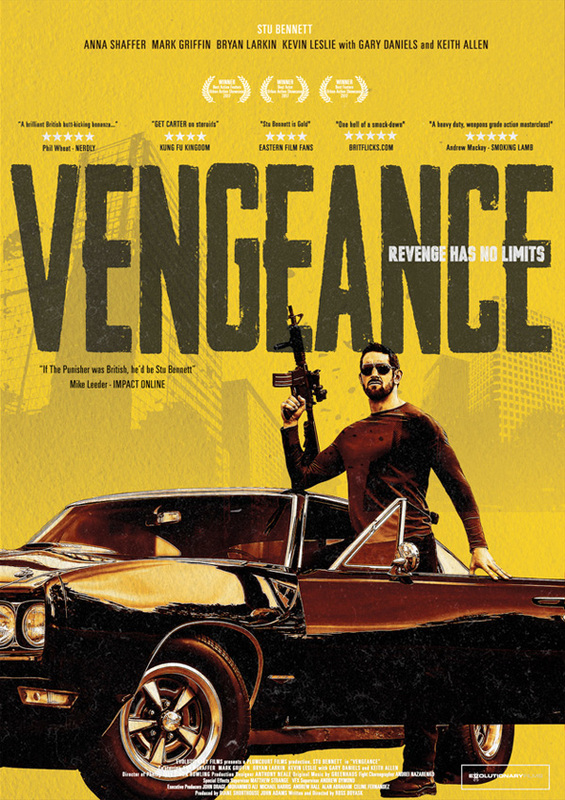 I Am Vengeance stars former WWE wrestler Stu Bennett (who wrestled under the name Wade "King" Barrett) as an ex-Special Forces soldier turned professional mercenary, who goes to a small town to investigate the murder of a friend and his parents. The film's cast includes Keith Allen, Gary Daniels, Anna Shaffer, Bryan Larkin, Sean Blowers, Sapphire Elia, Mark Griffin, and Wayne Gordon. I'm so, so tired of these films, only about guns and muscles and bravado and being men and honor and glory and all that crap. When ex-Special Forces soldier turned professional mercenary, John Gold (Stu Bennett), hears that his former best friend Corporal Dan Mason (Kevin Leslie), and Dan’s parents have been murdered, he heads to their home-town to find their killers. Gold discovers that Dan and his father were investigating a Special Forces troop led by the enigmatic, highly decorated Sergeant Hatcher (Gary Daniels), that went rogue in Afghanistan. What unfolds next is a heart-pumping action thrill ride that leaves viewers on the edge of their seats. 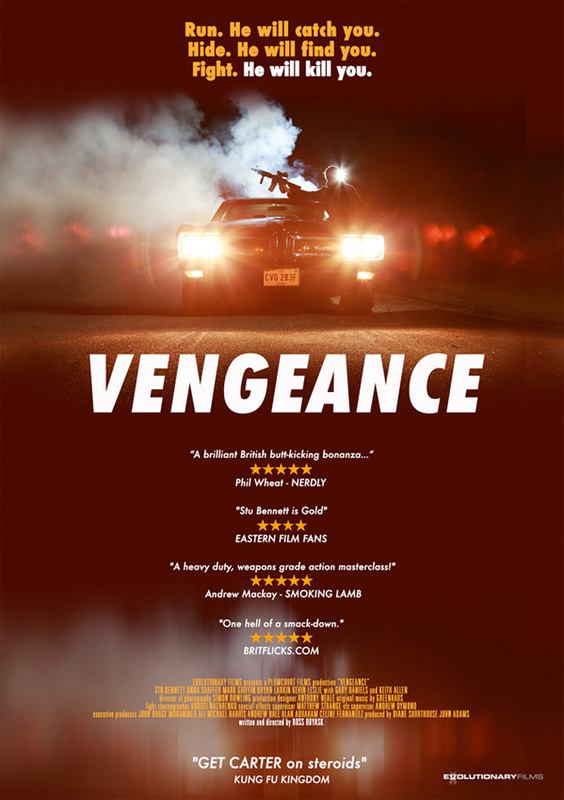 I Am Vengeance, formerly titled just Vengeance, is both written and directed by English filmmaker Ross Boyask, an editor and director of the films Left for Dead, Ten Dead Men, and Warrioress previously. Boyask also worked as the editor on this film on top of writing and directing. Saban Films will release Boyask's I Am Vengeance in select theaters + on VOD starting August 25th next month. Anyone?